Giuseppe Dangelico, better known as Pino, is a celebrated figurative artist who revolutionized the illustration industry and captured the hearts of millions with his romantic and intimate paintings. Following a successful career in the book publishing industry, Pino turned to creating fine art—his paintings evoke love, nostalgia, and family through movement and mood. Pino died in 2010, but his artwork continues to be deeply respected and highly desired by collectors worldwide. Born in the coastal town of Bari, Italy on November 8, 1939, Pino grew up in an environment shaped by World War II. One of the most memorable visuals of his childhood was the image of women left to tend to their households as men fought in the war. These women, who maintained tranquility during such uncertain times, became a collective muse that would inspire Pino’s artwork throughout his life. Pino’s talent was recognized early on when his first-grade teacher encouraged Pino’s parents to foster his artistic abilities. Pino’s father bought him supplies and human anatomy books, but grew skeptical of his son becoming a successful artist. Instead, he insisted that Pino follow in his footsteps as a lab technician. Pino, however, secretly took a job as a mason’s assistant and bought his own art books with his earnings. One of Pino’s earliest commissions was creating a church calendar. Pino illustrated the Virgin Mary with high cheekbones, rouge, and lipstick, causing the priest to immediately fire Pino. “The priest saw it and fainted, saying, ‘No, no!’” Pino recalled with a smile. Determined to become an artist, Pino convinced his father to let him attend the Art Institute of Bari for one year. To further his studies, he moved to Milan in 1962 and entered the Academy of Brera. For two years, Pino earned a living illustrating historical scenes for grade school text books and studying at the academy at night. During this period, he honed his talents for painting nudes and the human figure. When he was 21, Pino served in the Italian army for 14 months. His superiors used his skills as a painter to paint frescos and replicas of paintings for their own benefit. Following his discharge from the military, Pino’s father died of a heart attack. Thankfully, Pino was able to use his abilities as an artist to support his family. In 1969, he started his own family, marrying a woman named Chiara and having their first child, Paola, in 1971. In 1972 they had their second child, Massimo. From 1960 to 1979, Pino’s work appeared in juried exhibitions and won numerous prizes and awards. At the same time, he was commissioned by Italy’s two largest book publishers, Mondadori and Rizzoli, to create illustrations and cover designs. This experience grounded his technical development and launched his career as a figurative painter. 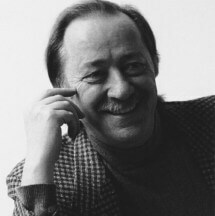 Pino and his family immigrated to the United States in 1978 under the sponsorship of Borghi Gallery, where he held several shows in New York and Massachusetts. Looking to replicate his success in the Italian book industry, Pino sought out illustrative work with prominent American publishers. The publishing houses rejected his first acrylic paintings, but after Pino switched to oil paintings, publishers quickly took notice of his talents. From 1980 to 1994, Pino gained great popularity among book publishers like Zebra, Bantam, Simon and Schuster, Harlequin, Penguin USA, and Dell. His style influenced and dominated the market for book illustration—particularly the romantic book genre—for over a decade. Collectively, the romance novel industry generated $300 million in sales in 1984, with the number of readers totaling 20 million thanks in no small part to Pino’s artwork. He became so popular that well-known authors sought him out to create their covers. In 1992, Pino embarked on a new artistic direction. He returned to his fine art roots, focusing on his early experiences and influences in Milan. Pino submitted a group of paintings to a gallery in Arizona, and in a matter of months sold all the works. By 2001, galleries across the United States desired his works, and soon after galleries in Hong Kong, Canada, Dubai, and other countries wanted Pino in their collections as well. Never complacent with his art, Pino continued to experiment and paint until his passing on May 25, 2010 at the age of 70. Pino’s style, known as Contemporary Realism, is characterized by softly lit subjects, warm colors, and loose, flowing strokes contrasted by detailed hands and faces. The expressions of his mysterious subjects suggest they are in the midst of contemplating life’s complexities. When studying in Milan, Pino embraced the influence of the Pre-Raphaelites, including John Everett Millias, Dante Gabriel Rossetti, and William Hunt. These mid-19th century artists and poets rejected mannerist approaches and imbued their works with sensuous symbolism. Pino also found inspiration in the Macchiaioli School, a group of artists who rejected academy traditions and focused on a tonal approach to painting in the style of Rembrandt, Caravaggio, and Tintoretto. Later in his career, Pino became fascinated with figurative artists of the early 20th century, particularly Joaquin Sorolla, John Singer Sargent, and Giovanni Boldini. These masters infused their works with spirit through rapid and deft brushwork, a technique Pino worked tirelessly to achieve. Pino explored the complexities of human relationships in his art, dealing with connection, separation, and the female figure. Facial expressions conveyed emotion and psychological potency, and garments, moody interiors, and bright landscapes served as recurring motifs in his theatrical compositions. Pino enjoyed depicting woman and matriarchs, but painted more than just beautiful ladies. He drew on his upbringing and depicted scenes from real life—whether it was mothers nurturing children, aloof family members around the table, or older men quietly reflecting. When Pino shifted his focus to fine art in 1992, he was free to explore his memories and desires. He sought to connect with his audience, and filled his works with Mediterranean culture, women as symbols of safety and desire, and intimate family moments. During his 20-year illustration career, Pino created more than 3,000 book covers, movie posters, and magazine illustrations. He was one of the highest-paid book illustrators of his time. Pino painted covers for successful authors like Danielle Steel, Sylvie Summerfield, and Amanda Ashley. Pino was an innovator of the “wraparound” style of book covers. To create his book illustrations, Pino painted a continued image around both covers, leaving space on the back for the description and on the front for the title. Pino is credited with launching the career of Italian model Fabio Lanzoni. Thanks to Pino, Fabio’s trademark flowing hair and muscular frame appeared on numerous book covers.